The benefits of outsourcing are multiple, diverse and often surprising. Admittedly though, there are cons to rival the pros, not least compliance with outcomes 7.9 and 7.10 of the SRA Code of Conduct relating to risk management of outsourcing suppliers. Under outcomes-focused regulation, these outcomes dictate that any outsourcing agreements should enable you to fulfil your professional obligations without compromise or risk. However, these strict regulations don’t mean that your compliance officers need to struggle with an even-more unmanageable volume of compliance responsibilities. Au contraire, due diligence is all that’s required. Carefully select reputable outsourcing suppliers who comply with defined standards and have adequate security policies in place. That way, their contractual terms provide all the necessary evidence of conformance for SRA inspection. As already intimated, outsourcing exists for many business processes. Our focus, as legal accounts experts, is outsourced cashiering. So, without further ado, here are ten reasons to outsource your cashiering. #1: It’s one less thing to worry about! If you’re a partner in a small practice or sole practitioner, it’s highly likely that you’re managing all areas of your practice on top of earning fees. There are simply too many chores jostling for your attention and the less time you spend earning fees, the less profitable you’ll be. That said, it’s essential to keep on top of your bookkeeping as your business depends upon a regular, constant cash flow. However, hastily rushing through accounts-related work increases the chance of human error which can be disastrous as you’re professionally obliged to keep an accurate set of books. Correcting errors is costly, embarrassing and a further waste of your valuable time. You could even find your company unintentionally in breach of the SRA Accounts Rules and Money Laundering Regulations 2007. By handing over your cashiering role, you’re easing your workload thus leaving you free to spend more time with clients and other business-critical tasks. There are only 8 hours in a standard working day so use them to best commercial advantage, leaving the more mundane but stringently governed activities to external suppliers. Any self-respecting business owner is interested in saving money because this has a positive impact on profit margins. Employing in-house accounts personnel is expensive in terms of recruitment, induction, training, mentoring, salary and office space fees. The outsourcing option is charged on a pay-as-you-go basis correlating directly to your fee earning activity. There are no hidden, sudden costs and the manageable monthly fee is easily absorbed within your overheads. Similarly, with the added bonus of outsourced IT management, you can save major financial commitment on IT staff, infrastructure maintenance and hardware or software capital investment costs. Again, it’s worth acknowledging that a move from fixed to variable costs allows you to operate a nimble business which is more responsive to changing demands. The ever-present risks to your business take many forms, ranging from IT failure and cyber attack to fire, flood and theft. First and foremost, there’s the risk of non-compliance. The consequences can be dire and threaten the livelihood of your business. Through outsourcing, regular anomaly reports highlight potential SRA Accounts Rules breaches for resolution before they happen. Your cashier assists with keeping your accounts in order, compliance officers supported and regulators abated. Security is another major risk. Just how secure is your valuable client and financial data currently? Outsourcing to Quill Pinpoint provides you with a secure cloud-based solution using state-of-the-art ISO 27001 accredited and EEA-based primary and secondary data centres for your safety and protection. Most businesses experience some level of turnover, struggle with skeleton staff during holiday season and suffer from planned or unexpected absenteeism. Training new recruits to replace resigning or retiring staff demands a time commitment. Equally disruptive to the day-to-day running of your business is an understaffed or completely unmanned cashiering team. Even worse, usually when we least anticipate it, disaster strikes and shutdown is enforced, causing your office to close for business completely. Conversely, outsourcing allows you to plan for ”˜business as usual’ at all times because there’s uninterrupted cashier support even when your named cashier is out of the office because a deputy will simply pick up where they left off. Even better, with Quill Pinpoint you’re accorded 24/7 access to your cloud-stored accounts and matter data because our Interactive hosted software is supplied alongside our Pinpoint service. This is a particular strength in comparison with other outsourced cashiering companies who, as a rule, offer services only, not supporting software. Legal accounting is a complex administrative task. The SRA Accounts Rules are both complicated and ever changing. It’s difficult keeping up with them and when novel problems arise, you can often experience serious quantities of downtime researching and dealing with these situations. If errors occur, fines and sanctions can be extremely expensive and damaging to your reputation. By entrusting an experienced outsourcing supplier with the responsibility instead, you tap into their recognised, certified expertise for complete confidence that your accounts are being managed accurately, thoroughly and in accordance with the SRA Accounts Rules. 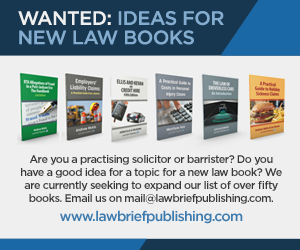 With growing levels of uncertainty in the legal industry, and perpetual news of law firm closures, you need the ability to adapt quickly to rising or slowing demand for your services. While rapid business growth sounds like an enviable position to be found in, the reality is that this can lead to transaction volumes which your existing staff can’t handle. The opposite polarity, reduced revenue, combined with rigidly enforced employment law and employee rights, means that instant dismissal of your cashiering staff becomes a business necessity but legal impossibility. Outsourcing can be immediately scaled up or down upon demand so that you only pay for what you use and have the flexibility to cancel your contract at any time. Performing everything in house with limited resources is an uphill struggle within a 9am to 5pm day! Also, it can be an isolating experience with no-one to turn to for guidance when the going gets tough. 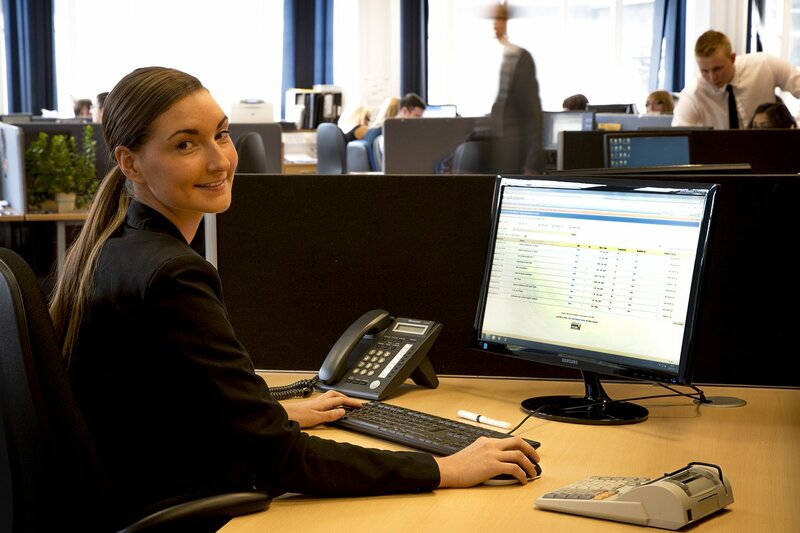 Imagine, then, the difference to your daily work with a dedicated cashier (with assigned deputy, when absent) to hand over your accounts, named supervisor for escalation of queries necessitating management-level involvement, helpful technical support team for IT-related advice and optional consultancy services for extra hand-holding support from a wider business perspective. There’s complete reassurance that back-up support is available to overcome your challenges, large or small, whenever or however they arrive. Using Quill Pinpoint as an example, in a recently commissioned support survey, customer perceptions were high and benchmarking analysis demonstrated outperformance of competitors across all survey categories. For example, our overall satisfaction score was 92% in contrast to the rest of the marketplace which gained a significantly lower 75% satisfaction rating. Support is provided from initial transition, way beyond into day-to-day working practice life. Annual accounting and SRA client monies inspections are a routine part of your calendar. Accurate accounts management is a tremendous responsibility so preparing for these yearly events is stressful and worrying. Typically, these manual tasks involve provision of hard copy accounting records so that accountants can extract relevant information for annual submissions, and printing paper copies of client ledger reports for inspections. Worse still, with a real prospect of the SRA stopping its annual audits and transferring the responsibility of internal inspections onto your COFA, assistance in this area is sought after. With an outsourced cashier running your accounts, there’s a clear audit trail as required by your accountant or inspector. Additionally, another unique selling point of the Pinpoint service is a free accountant licence which affords secure, remote access to your data via the internet so that your accountants can perform the bulk of their work from their own office for completion during a subsequent short on-site visit. There are various quality marks, such as the Lexcel standard, which denote practice management and customer care excellence. Accredited law firms are more marketable and enjoy an exhaustive list of benefits, for example, being looked upon more favourably by insurers leading to lower insurance premiums. Assessment of these quality standards is rigorous and quality marks are only awarded to firms who demonstrate the highest standards of management and service. But outsourced support can help with financial and compliance risk management (automatically generated weekly reports), forecasting and strategic planning (business intelligence information), continuous service provision guarantee (always-available cashier during working hours and 24/7 online system access) and better client care (comprehensive case management functionality). This proactive way of working perfectly complements quality mark frameworks, simplifying the accreditation process. Late bill production or delayed credit control can compromise your cash flow thereby driving you dangerously into the red. This is easily rectified with an outsourced cashier keeping an up-to-date log of case-related fees and expenses for regular claim back purposes. Also, your cashier-generated reports provide a management-level overview of your financial performance to identify trends, maximise opportunities and grow your business. 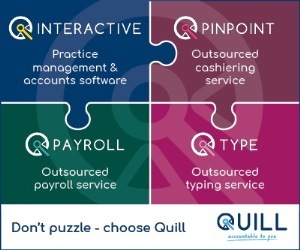 To learn more about the outsourcing process, read Quill Pinpoint’s 5-step guide. For further information on the extensive benefits of the Pinpoint cashier bureau service, call 0161 236 2910, email info@quill.co.uk or visit www.quill.co.uk. Julian Bryan joined as Managing Director of Quill Pinpoint in 2012. 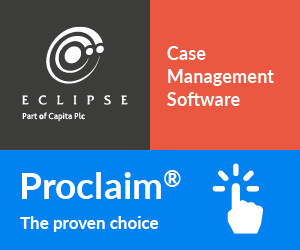 Quill Pinpoint is the UK’s largest outsourced legal cashiering provider with 35 years’ experience supplying software and outsourcing services to the legal profession.